The 2019 ISPS Handa Vic Open produced not one, but two winners, after the tournament was hosted by the European Tour and the LPGA Tour, with players playing the same course for the same prize money. 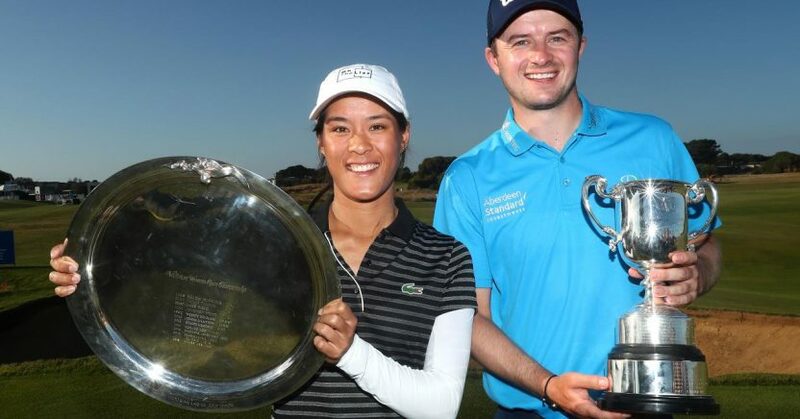 Scotland’s David Law eagled the final hole to overhaul Australia’s Wade Ormsby to win the men’s event, while France’s Celine Boutier finished on eight under par for a two-shot victory in the women’s event. Law, who graduated from the Challenge Tour last season, was five shots behind the leader at the turn, and was still three behind as he stood on the 16th tee at 13th Beach Golf Links, but he made a birdie there and then produced a stunning second shot to eight feet on the par-five 18th hole to set up an eagle. That big finish put the 27 year old into a share of the lead with Ormsby at 18 under par, and when the home favourite made a double-bogey on the 17th, he needed an eagle of his own on the last to force a play-off. When he could only make a birdie, Law secured a one-shot victory in just his 18th European Tour appearance. 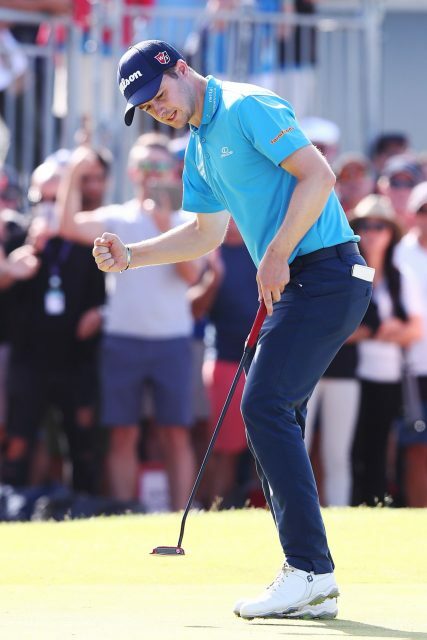 The win completes a remarkable turnaround on the course for Law, who was on the brink of taking on other work over the winter before winning last season’s SSE Scottish Hydro Challenge and finishing 14th on the Challenge Tour to secure his European Tour card for the 2019 season. Over in the women’s event, Frenchwoman Celine Boutier finished at 8-under for a two-shot victory over England’s Charlotte Thomas and Australians Su-Hyun Oh and Sarah Kemp. Spain’s Aza Munoz was in the pack on five-under, while another Englishwoman, Jodi Ewart-Shadoff, was a shot further back.